It’s nice to finally witness a celebration of Birmingham’s experimental music scene, something that SOUNDkitchen have well and truly accomplished. Their event entitled SONICpicnic, delved further into the realms of crossover art and sound genres, bringing up close and personal experiences for those willing to become consumed by what they could hear. The immersive listen room held an ethereal vibe amongst the atmosphere, as listeners were encouraged to relax on beanbags and rugs, surrounding the Hear This Space Speaker Tree, with branches full of pulsating amplification. Close your eyes, and you were automatically transported to another world. A world intended to replicate precisely the artists mind and mood. Transforming almost therapeutic sounds into complete horror, listeners became manipulated into multi-experiences. 6pm saw Martin Clarke’s audio and visuals in the main room of VIVID, his crackles and pops, Earthy landscapes and translucent imagery re-examined the beautification of nature against the man made. Annie Mahtani & Julien Guillamat came next, driving forward a sense of anxiety with their eerie church bells, crafted against levitating hums. Their captivating presence held together an illusory rise. Forget the Ouija Board, the summoning of spirits is already a foot. Greek composer Panos Amelides brought some cultural vibes to the stage, as his conflicting moods assembled farm sounds with on-edge horns and violins. Exposing the joys of love and the horrors of death. Their project entitled XYZ gave way to noise battles, as each member fought to take over the other’s sounds, in a hands on, court on court tennis parallel. Thee Moths turn to take over VIVID came next. His gadgets comprised of wires and synths all connected on one board, which exhumed improvised tribal chants and spiritual journeys. The rustic lo-fi vibe from Thee Moths home-made equipment oozed in Silver Apples-inspired oscillations. Rodrigo Constanzo carried on the self-built instrument theme, as he plucked and bowed his box of trinkets and drum kit in screeching entrancement. Often touching the surface of free Jazz drumming, Rodrigo captured his audience with trails of chimes, mostly portraying hostility through non-traditional instruments such as whisks and melodica tubes. Bringing the live performances to an end, Simon Whetham & Nic Bullen examined further elements of severity. As the lights began to dim and the candles flickered, the furnacing sounds of Simon & Nic pulsated through those who had succumbed to the effect. The audience, eyes closed and sat perfectly still, sank into the otherworldly resonance. 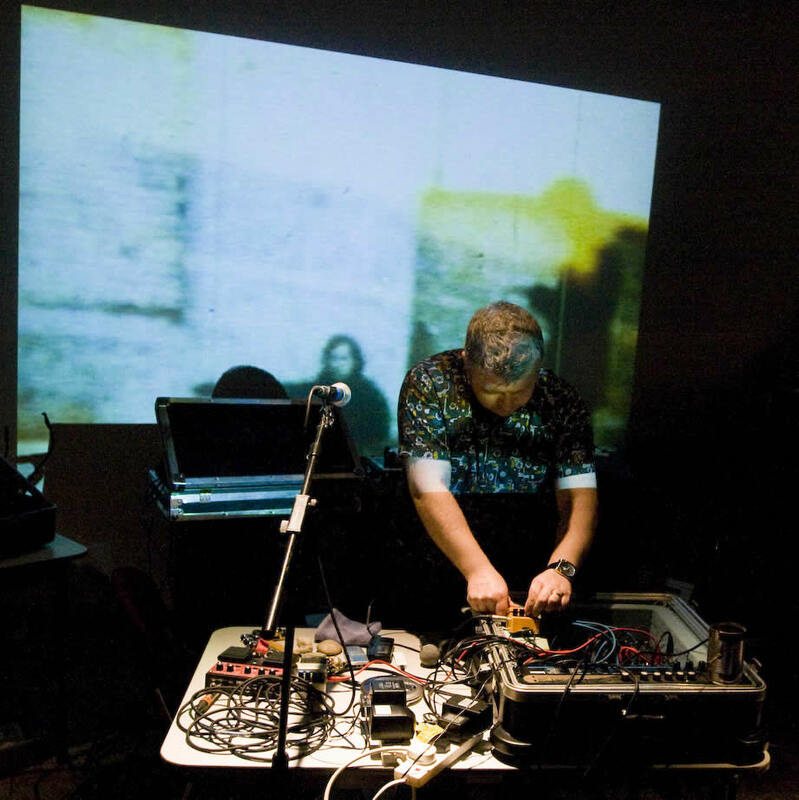 Diversifying its audience and encouraging them to explore different avenues, SOUNDkitchen had widened Birmingham’s music scene, providing the perfect expression of sound art and local experimental talent. This entry was posted in Art, Birmingham, Film, Live Music and tagged Annie Mahtani & Julien Guillamat, BiLE (Birmingham Laptop Ensemble), Martin Clarke, Moths, Panos Amelides, Rodrigo Constanzo, Simon Whetham & Nic Bullen, SonicPicnic, SoundKitchen, The Garage Presents, Vivid. Bookmark the permalink. You will also find details about our upcoming event at the beginning of October for which we currently have an open call for works!